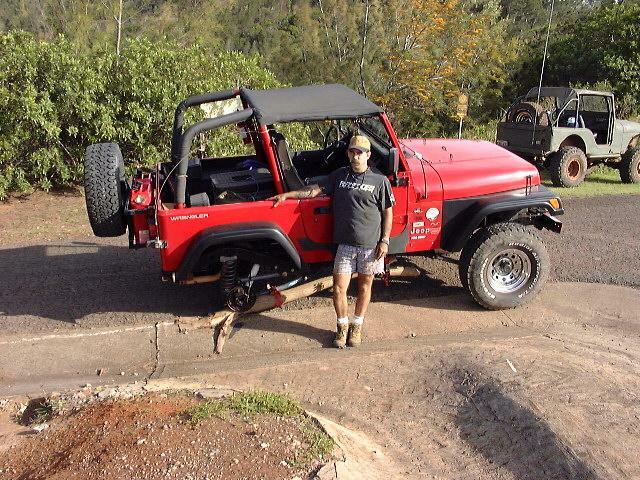 JeepForum.com > Models > Jeep Wrangler Forums > TJ Wrangler Technical Forum > Benefit of the Dana 44? Benefit of the Dana 44? I'm just curious what the big deal is about the Dana 44? But for someone who is NOT lifting or putting giant wheels on, is there any benefit to upgrading my axle? NONE! I've had a D35 for over a year with 35's with 0 problems.This forum is like fishing through old wives tails.Not pretty and can't be held to any truth. Because you haven't regeared from the factory 3.73 ratio to a ratio more appropriate to your 35" tires, your engine can't put out the power it was designed to. So naturally, without enough power to worry about, odds are you couldn't bust one of your axle shafts if you tried. You're grossly under-geared in other words. For those who have regeared to an axle ratio that matches a 35" tire size which brings the engine back up into its power band, the weakness of your stock Dana 35c axle would become immediately apparent. Purdue, the Dana 35c is perfectly fine for most needs, and it is strong enough offroading with factory size tires or maybe a little bigger size tire. It's when you start going to bigger tires like 33" and bigger and installing a locker when it ceases being strong enough. This of course assumes the proper gear ratio has been installed in the axles so the engine isn't working at a huge mechanical disadvantage. Theboogieman is running 3.73 axle ratio which is stock and optimal for the factory 30" tires. With 35" tires, starting off in first gear in his TJ would be like you starting off in 2nd or 3rd gear in your TJ. You also essentially lose the use of 5th or 6th gear because the engine doesn't have enough torque to maintain speed on even a gentle grade, which means you have to downshift much more often when you're misgeared like he is. That's the problem when you don't set up a vehicle properly and regear to an appropriate ratio when installing larger tires. Saying he's never broken his Dana 35c with 35" tires is like a guy on crutches with two broken legs saying he has never broken his neck while doing the high-jump. Of course he hasn't, he doesn't have the power to do anything that could break anything. The Dana 44 has significantly larger diameter and stronger axle shafts, plus a larger ring & pinion gear, so it is able to withstand the stress of big tires and a locker far better than the Dana 35c can. ...But for someone who is NOT lifting or putting giant wheels on, is there any benefit to upgrading my axle? That depends on what your definition of "giant wheels" is and how hard you are on the skinny pedal. I can tell you this... at work we have five TJs with the stock 4.0 motor, Dana 35s rear axles, 3.73 gearing, open differentials, ABS, and 30 inch tires. We are moderately hard on them, but don't do any rock crawling. After about 5 years and over 50,000 miles on most of them, I don't know of a single axle failure. I have seen broken Dana 35s on the street and on the trail, but almost always they either had a locker in them or had larger tires. If you have a stock motor, aren't too happy with the gas pedal, don't add any locking differentials, and don't go over say... 31 inch tires, I think your Dana 35 has a decent chance of surviving a while. Anyone not breaking a Dana 35c with 35" tires is either severely misgeared or isn't wheeling their Jeep. Suspension: Fox 2.0 Coil-Over suspension 12" Eibach springs. Recovery: warn hs9500i straps, shackles, synthetic mumbo jumbo. Armor: nth degree center skid, kilby gas tank skid warn sliders, and some custom stuff to cover the rest. bla bla bla... you aint wheelin if you cant break the 35 on 35" tires. What is all of this talk of Savvily designed products? I didnt snap a shaft and was re-geared to with-in reason of stock RPM's, But i also knew i was on borrowed time, Still am for that matter as i am still running a Yukon35 kit with a Detroit. I wheel my jeep all the time, Has been to the east coast to wheel, And to Moab this past EJS. But i put the 30spline in the rear to delay the inevitable lol. Any axle is better than the dana35, But until i go to 37's, Ill keep it back there, Holding my breath. Your 30 spline upgrade to your Dana 35c is actually a pretty good upgrade that very few have problems with. I wouldn't worry about those shafts breaking on anything except the stupid-difficult stuff with excessive gas pedal input. I wouldn't trust the shafts or the D35c's gears with 37's though. This is GREAT info ... I think. I have a 44 with 3.73 according to my build sheet, and I'm running stock 30s now. I am looking to upgrade to 31s (I'd love to go 33s, but can't afford the lift I'd need) before winter. My TJ is my DD and I might get offroad in any significant way twice a year. I do hit the Level B Maintenance roads when I can, though - maybe twice a month. Should I invest in regearing? I like the "pep" of the 4.0l w/30s while I'm on the street, and I want to be able to use the Interstate systm from time to time. 2004 TJ Sport, I6 4.0l, 5spd, D44; BESRK rear bumper, some other stuff. Buildin' it bit-by-bit. Is there a "Black Jeep Club?" You won't need to regear to run 31" tires, you'll be fine with your existing 3.73 ratio. It's when you get to 33" and bigger that it becomes worth the $$$ to regear. i'm running 31s and 3.73s with the 42RLE auto and its fine (my issues are with the auto, not the gearing). you've got a 5-speed, you'll have even more pep.